"Simple, time-saving software makes running the front desk a breeze! " Envoy software takes the admin out of a time-intensive function. Before Envoy, we may have struggled to ensure we took all steps to protect our business (i.e., getting NDAs, having a comprehensive log of visitors) but the whole process is streamlined and simple now. The software also has a very professional look and feel. The software has been incredibly easy to use and the support team has been fantastic about troubleshooting any minor issues that have come up. My office manager has more time to focus on welcoming guests rather than checking items off a to-do list or tracking down hosts. "we use envoy and we love it!" I like how clean the the user experience is. I like the app functionality on personal devices. I wish that the export system had more granular control. the offline functionality should remind admins that the device is offline more forcefully. really would like more integration with social media accounts, eventbrite, meetup. once signed in, the app shouldn't recognize my device before I sign out. I would like to have a video play at sign in not just a static image. I've never used the sign out but if there was a way to email our current visitors automatically at the end of the work day to remind them to sign out that might make that feature useful to me. stress to your clients how secure and anonymous the data entry will be. encourage clients to download the app on their personal devices to speed sign-in. older clients will need to reassured to handle the change. the offline functionality is almost identical to online usage just remember to get the device online as soon as possible. while there isn't much social media account integration, there is an opportunity to incentivize adoption by your clientele. I've never had an occasion to use the sign out feature, not sure how that would effect the functionality of the service. this is a better, more efficient way to know quickly who has interacted with any other the any services that we offer. tracking our visitors electronically allows me to quickly determine how many people I've served during a given time. "It works OK but not efficient"
"Enovy + noosa finest yoghurt = perfection!" The best part of Envoy is the fast and friendly customer care! They always have a rep standing by to answer questions from simple to complex. Although it may just be a company preference, we wish Envoy had the ability to connect/integrate more of the programs and apps we use now. It looks like many of these things are in the works so, keep up the great job! Envoy is great but if you are unsure, check our their free trial! You gain access of all features without anything to lose! When no one is available at the front desk, visitors can still get started, which has been a huge time saver for both visitor and employee. Better tracking has allowed us to see who was here and exactly what time to help pinpoint any issues that may arise. "Envoy is great for welcoming guests"
Envoy is an easy to use app that lets guests quickly (and securely) register with our front desk. It supports multiple sign in flows, for guests, events, etc. and these are all customizable. I also like the potential customizing options for badges. Envoy support is great as well, and opened up a feature request for an idea that I had. There doesn't seem to be an ability to duplicate sign in flows, either within the same location or to a different site. I would encourage folks to try Envoy, and especially pairing a bluetooth keyboard to the iPad to ease entering in user information when signing in. We didn't look at other options, but are happy with Envoy and glad we made the choice. Guests are required to sign an NDA, which satisfies our legal obligations. The simplicity and usage - it has what we need. Easy to use and implement. NDA option and having various other items that can be added if necessary. It's a set it and forgets it kind of tool and if I need to add more is easy to implement. Sometimes adding new people is a little annoying- if there's a way to integrate when someone creates a new email on Gmail, Yahoo, or Hotmail that would be great. Visitation and NDA. This helps track when we have visitors and have them signed an NDA so that we don't have to worry about making that the NDA is signed for visitors. The integration with Slack has made everything easier, we don't have to worry about who's visiting who and who to notify when the visitor comes. "Professional and Tech Savvy Institution"
This allows any visitor to easily notify anyone across campus that they are here, it has cut down on a lot of frustration with people walking all over the place trying to find their faculty advisor, admissions rep or other administrator. There is really nothing that we dislike, I wish you could notify more than just one person and their assistant. We sometimes want to notify a whole department that someone is here, but we are finding work a around. We have less time with people calling or walking all over trying to find the person with whom they are meeting. We have also received several compliments on how professional and easy it is to execute visits for current or prospective students, as well as vendors and colleagues coming to the university for any reason. Digitalized visitor record, no visitor log book. 1. Embed queuing system onto this platform, such that visitor business transaction get a queue number ticket after sign in, and the queue system can link with the downstream business process system/team. 2. Embed sign in and out by employee silently, by recognizing the bluetooth id on his/her phone. It's very user-friendly, the search feature is awesome, and I love that it uses an iPad for sign-ins rather than the staff doing the sign-in manually. The text feature works well for our employees. The customer service is top-notch as well. They are always happy to give a helping hand whenever something seems to go wrong, even if it is user error. Our issues have been with employees not receiving the notification emails in their inbox. The junk filter on email software will place the email in junk or spam folder. Clearly explaining this issue to employees would save some frustration. Visitors enter their own name into a system which then prints the badge and automatically notifies the employees. No more complaints about having misspelled a name or not notified an employee. We also use the photo function which makes it very easy for our employees to identify their visitor when collecting them from reception. Our clients are also impressed with our high tech sign in process. We are able to digitize and automate our visitor registration workflow. The notifications are great through e-mail, sms and slack. The iPad user interface is user-friendly and customizable. We also get to extract all the data and the built-in dashboard also has some visual analytics for easy reference. "To be on top of things"
Envoy helps me have eyes everywhere especially if we have applicants coming on. Regardless of my location in our building or if I am in a meeting, I am able to see if someone is looking for me. There is pretty much nothing to talk negatively about the envoy. I am a satisfied user. Its a good security feature for any company or establishment. Envoy aids us in tracking visitors and applicants. There are instances wherein we are in need of verifying attendances. Aside from that, envoy encourages ownership from our team since it indicate whom the visitor is looking for. Overall, it is a must and an essential tool for our daily transactions. "Amazing System Worth Every Penny"
Overall the best system we've ever seen. Rave reviews by visitors, many of whom have taken our advice and pursued implementing the same system. Notifications are consistent and work every time. The company seems totally committed to an awesome visitor experience and building their ecosystem of Envoy products. The passport is a brilliant addition, if not for marketing/publicity purposes alone. This is not the lowest cost system out there. If cost is a concern then this is probably not the system for you. There is literally nothing else to complain about this system. It's amazing. You do have to buy and maintain iPads, and we elected to get tamper-proof cases, but it was necessary to avoid theft and damage. Buy it. Buy it. Buy it. Don't hesitate. You will be amazed, if you aren't already. The price is higher than any others, but this product stands out as the best ever. Visitor management and food security in a food processing plant. Contributes to employee and visitor morale. Awesome use of technology in a very progressive app. This is just one less thing we have to worry about. Envoy does most of the work, and check in is extremely fast and efficient! I like that I can book guests same-day. My job requires that I sign people in last minute for business meetings, so it's worked out very well for me. Honestly, nothing in particular. I don't think I've ever had an issues using Envoy. I think it makes it easier for booking. At a place like BF, we'll often have last minute bookings with important celebrity guests, and this allows us more elasticity with creating content with important folks at a moment's notice, rather than going through a long process to get folks in the building. Longer processes hinders out ability to work as well with busy guests' schedules. "Envoy great for small nonprofit client checkin"
We like that we are able to have clients type in their names and phone numbers when they come to our front desk to check in. We work with people from many different cultures and countries, so the spellings of their names aren't always intuitive to our receptionist. Having clients type in their name to check in helps us get the spelling correct for new clients. It would be helpful if we were able to use multiple languages for all questions and instructions given to clients while checking in. This works well for us as a small nonprofit to have clients check in at our front desk. It helps us spell new clients' names correctly, be able to keep track of and help clients that walk in, in the order that they have arrived, and more quickly notify staff of clients who are here for scheduled appointments. "Solid and capable system, some licensing limitations "
Slack notifications are key for our workplace ops teams to know who has arrived onsite, and give the host more confidence in their meeting time/locations. There's a lot of manual host list upkeep unless you subscribe to the higher package tiers, and typically Google or AD syncing on software like this is included in the middle tier. Also, if you have an office location that has 2 entrances, you can't have an iPad AND printer at each location without paying as if it were 2 separate locations. Enterprise security compliance, Workplace Ops team efficiency. "Superb support, easy to use, and looks fanstic... but expensive. " Fantastic support, easy to set up, reliable, and customizable. Is compatible with legacy iOS devices. It's very expensive for a relatively simple app. Make sure to check what features are available for the version you are paying for. There are many small features you would think are included in the $120/month version, but are only included in the higher-tier versions. Much easier to manage visitor records - Envoy makes it very easy to document and archive all visitors. Management prefers this solution much more than a lousy notepad for visitors to sign in with. "Envoy - visitor tracking system"
- Ease of use. Very intuitive user interface. - Very good documentation and self service help references. - Responsive and helpful support with online chat that gets back to you immediately. iPad only - it would be great to have the ability to use other types of devices. Try out the free trial and see if the product meets your needs. I definitely recommend this software without hesitation. We are able to track different visitor types across all of our company locations. The system is also compatible with our GMP requirements for visitor check-in at our manufacturing plant. "Nifty tool for guest management at companies of all sizes"
Envoy offers an easy to use interface for inviting guests, and handles everything having to do with collecting the required data from visitors. Offers a nice dashboard view for administrators ease. We have Envoy up on iPads for visitors to sign in with, and it's a very sleek experience for the visitors. Viewing envoy on mobile (via the website, not app) sometimes does not render properly. Other than that, works smoothly every time. Great tool that fills the need for guest registration. Especially handy if you need to collect information about the user like email or an NDA signature. Features like bulk invites, emailing guests an invite, or remembering their information for repeat visits is a plus! Registering visitors to the company, including: business partners, friends visiting, and interview candidates. Completely automates the process for registration, and creates a seamless feeling experience for the visitors. 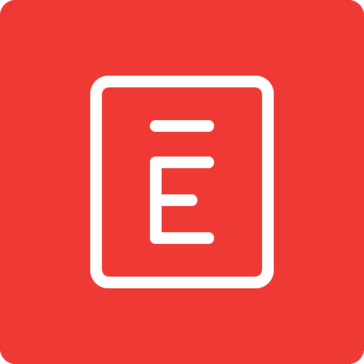 "Envoy - easy to use, fast to install and support is knowledgable." I like that I was able to deploy this solution and have printed badges all in about an hours time. The ease of install and use is great. For a product I had never seen, being able to go from purchase to installed in about an hours time is just unheard of in the IT world. I disliked the solution at first because we have 2 entrances in 1 facility and needed to be able to have both doors ready for check in but it was not an option. Support was able to assist me fixing this and finding a way to do what I needed in a very short time. It is worth it. Easy to get going and adds plenty of benefits. This has made it far easier for our reception personnel to know who is supposed to be visiting, when and who they are here to see. Historically, people would arrive and reception may not have been notified so there was some confusion. Also the NDA being signed electronically during registration has been great. "First They'll Be Best and Then They'll Be First"
Wow, tough question! I really dislike all the support, I dislike that a person answer the phone or the pop up chat feature. So many things to dislike! NOT ! Old school systems are OK... stiff and not pretty and costly. Envoy, like its definition, is an ambassador for Pandora . One of the first greeters of our guest, and it wows many of them... its just, to put it simply...way cool! "Envoy has been such a convenient and hassle-free platform to use!" I love the minimalist and simplistic user interface, that does not leave me confused. The customer support is also a great service as well! I would highly recommend Envoy to other users. When I send out invites, I tend to get duplicate invites on my dashboard. This might just be an error on the backend of my server. Other than that, there are no general dislikes! This makes it easier for me to invite colleagues over to the office without having them spend too long at the sign-in counter. My favorite feature of Envoy is a small, but makes a huge impact in my day-to-day. I work in Education, so I meet with students frequently. We have Envoy connected to Skype for Business (formerly Lync), so when I'm online and a student comes in for an appointment, they can sign in and a little IM box will pop up notifying me. I like it because I'm notified immediately, and don't have to worry about being interrupted if I'm with another student. The visitors/dashboard section can get a little strange if you're on the wrong tab. I also forget to sign my students out if I'm in back-to-back appointments so they tend to just sit there. I almost wish there wasn't a sign out option at all since I'm not logging any notes there. Envoy is great as a "concierge" type system. It will notify you discretely in a number of different ways based on your communication preferences. Emails, lyncs, etc. It's also great if you're looking to capture some data on traffic or overall visitors. We use Envoy as a discrete notification system for appointments, and in lieu of a front desk staff member. "Spot on solution for front desk"
I love that the host personnel gets notified when their visitor signs in. It saves me time having to track them down to let them know their visitor is here. Not sure if the printer is a part of Envoy, but sometimes there's a disconnect and printer stops printing badges. If you want to save time on tracking visitors and/or secure the facility, Envoy is a great step to take. We are able to keep track of visitors, including their contact info. This helps us to maintain security in the most efficient way. Much better than tracking with paper and pen. I like the integration with #slack and how you can set-up texts and emails, so you don't miss a single guest. It cuts down on the work by Reception and makes us all more efficient. there have been a couple glitches where we haven't received a slack message or email for a visitor, but other than that, no issues. greeting guests/candidates and making it a smooth and seamless process. "Streamlined, forward thinking, paving the way to a stress free and beautifully seamless front desk"
The front desk. The place that not only makes your businesses first impression on the client/guest, but shows your intentions as a company. You can define yourself in the lobby/waiting area with simple things, art on the walls, the carpet, the furniture. But that is all a waste of time if your visitor greeting process is leaving something to be desired it can lower the visitors expectations dramatically. Envoy leaves nothing to be desired. Seamlessly integrated into our reception team its features are first class. Not only does it make the job of our team on reception easier, with features like pre registered guests, NDA signing and much more, these features show the customer that we are welcoming them in and greet them appropriately. I have absolutely nothing to complain about, minor issues are always fixed fantastically fast by the support team! "Envoy is simply the BEST sign-in system out there! " Seamless integrations, fantastic and responsive customer service, clean interface... what more could you ask for?! Such a small gripe, but it would be nice to a question, such as email address. Not really a dislike, but more of a nit-picky suggestion. With interviewers and adults spread out throughout campus, the sign in and notification system really alleviates the arrival and handoff problem. "A perfected built with users in mind"
- interoperability with many printers and systems like slack. - Does they deploy with other tablets ? Visitors management process was hard to manage with only a human recepionist (not always available, don't know what to do sometimes, etc). Envoy helped a lot in fixing these problem by providing a smooth workflow,. Everyone talks about how much they like the system. Our visitors love using it and it's relatively easy to manage. It comes across as more "fancy" than it actually is and is very impressive. The hard link to badges that it prints out is frustrating. We need to use color coded hard key card badges and it would be great if we could integrate those with Envoy directly, rather than using work arounds. We need to track visitors for compliance purposes. It has eliminated the need to archive volumes of visitor books and increased the aesthetic of our lobby. "Not Chained to my Desk"
I love that I am able to leave my desk and attend to my other job duties without having to stress about if our employees are being notified properly when their appointments arrive. Envoy takes care of that stress for me - the person comes in, signs into the envoy app on our iPad, and it automatically sends a Slack to the employee of the arrival of their appointment. It GREAT! Honestly, I really haven't found anything I don't like about it! The need to have a receptionist. "Completely streamlines the visitor greeting interaction!" I love how Envoy, by taking over alerting the host and storing the NDA, allows me to focus on greeting the guest and giving them my undivided attention. I also appreciate how it's become an industry standard. Guests recognize the UI and protocols. I wish it integrated better with Google Calendar invites. The API does not fully allow for a seamless pre-registration. It's scaled to meet our needs since we were a very small company. It's extraordinarily adaptable and easy to integrate. Envoy is easy to setup, simple to use, and always delights our visitors. I have no complaints - Envoy listens to our feedback and consistently rolls out additions and improvements. I highly recommend it - Envoy is one of the greatest investments we have made in the guest experience. Prior to using Envoy, we had no visitor registration system. People could walk in and out at their leisure. Using Envoy ensures visitors are registered, have signed our NDA, and are automatically printed a badge that lets employees know the visitor has registered at the front desk. "Easy implementation and time saving"
Envoy helped our teams run more efficiently by making the guest registration run very smoothly. We were able to replace our Waiver app since Envoy had a place for our NDA. I love that we are able to customize the badge which allows us to put our guest wifi password making the visit for guests more pleasant. There are very little that I dislike about Envoy. Their product has been pretty flawless. There was one issue that kept showing the iPads needed updating even though they were up to date but that was nothing major. Envoy helps with making the process more efficient giving our front desk more time rather than having to track down each host that their guest has arrived. Convenience! Envoy has made it easy & efficient for us with user registration. That we didn't find this company sooner! Non Disclosure! Confidentiality & company discretion is key for us to run a successful company. We have realized we can't operate without having all guests sign NDA's. The practicity of it all is amazing. I love not having to get up to tell people that their visitors have arrived, and it is much easier to export and control the number of people who have visited each month. Nothing I can think of that I dislike about Envoy. Easier control, quicker, makes people impressed with how modern the compan is, makes the receptionists lives easier for they don't have to interrupt what they are doing to get up and warn hosts. "Great Experience for Visitors "
Scheduling client visits and ensuring we maintain high standards of physical security. "Envoy - Best guest registration app on the market"
All of the easy to use features ensure that guests are properly processed by an intuitive and simple to use ipad interface. Printed badges are a huge plus as well! Nothing. Envoy does an amazing job with their product. If you in any way are using paper or some other manual form of guest intake, you need to switch over. We are now able to properly register 100% of guests into our facilities which ensures safety, compliance and allows for notification to hosts of arrived guests. Delivery product is pretty expensive. Some user still like the personal touch. Look and file and easy administration of the tool. Nothing really, if anything I would say that it doesn't have the capability to change the language. It would be nice to have it for Canada sites. NDA control and visitor traceability. I like that we can sign our guests in with ease and the printer automatically prints out their name tag! An effortless process. I dislike that you can only use the envoy product on an iPad. It would be nice to make it do that you can use the envoy system on more platforms. We are having guests sign in and sign NDAs before taking a meeting in our facilities. I appreciate the ease of use, and the user interface from an admin perspective. It seems like the guests who use it also like the login flow. Nothing comes to mind, overall it has been a solid product for our company. We were looking for a solution for guest identification, NDA signing, and badge printing. Envoy does all the above so it was the perfect solution for our organization. "So much personality and culture within the app"
The website interface can be buggy and some integrations can use some work. The app has already made it clear what kind of company culture and environment I want to be working in and it really motivates me to help my company be that way. I like how professional and impressive it is to our clients. I regularly get compliments about how impressive our sign in process is. Some people have trouble understanding that they need to keep going until the whole process is done. They will type in their name and somehow not see that they need to keep going to other fields. I don't think it's the software at all but I do have to help people sign in frequently. I am able to track my visitors in a faster, more efficient manner. The clients are more willing to sign in with the ease of the software. Arrive notification avoid customer long waiting. create the invitation, especially select the date and time, is a little confuse. Entrance control, avoid visitors (mostly customer or business partners) long time waiting. Increase customer experience. "Easy and Simple Guest Management"
After losing our receptionist, we needed a solution. This was the best solution for guests to check themselves in, get a badge, and even notify the person they came to see. I was up and running in a matter of minutes. Nothing, so far I've had no issues, and support is great. We managed to save a considerable amount of money in regards to a reception area that was unstaffed. Envoy has proven to be a great solution for our use case, a walk up tech bar. We use Envoy to sign in visitors as well as show who is currently waiting for support. Integrations with our specific tools are not there yet. How to accurately track visitors to our tech bar, as well as provide data that can later be used in reporting. "Envoy has been easy and efficient "
I like that there aren't very many steps for the person singing in. And I finally just discovered my dashboard yesterday which makes my life as the office manager much easier. I haven't come across any features that don't work yet. When I do, I'll be sure to let you know. Communication between the visitor and the person they are here to see. "Envoy A Guest Check In Lifesaver "
I love how user friendly it is, the interface is easy for guests to naviagte and use. Envoy sytem promptly sends the information of the guests to the office member. No dislikes sometimes some guests don't like their picture taken, but that option can be disabled. I am solving Operational inefficienies such as wasted time notifying office members of their guests. I am realizing that Emvoy has improved guest experience by making it easy and quick for them to register themselves and not have the stress of worrying whether the person has been notified of their guest. "Envoy Is a great tool for Streamlining the front desk"
Formatting not yet available on NDA's - but it's coming! Save yourself a ton of hassle managing people to manage guests - it's all rolled into one convenient tool with Envoy. We are a small group with not enough work for a receptionist to do - this eliminates the need for a receptionist all together. Envoy is ridiculously easy to use, and makes total since for an office like mine (we do not have a employee that sits at the front desk). Their customer support is great as well! Hosts are notified as soon as their guests arrive, so no one is just waiting around. It's great! At this time, I have not run into any problems while using Envoy. Again, we are solving the need for a person to sit at the front desk. It also makes it easier to track NDA's, as we have our guests sign one through Envoy. I can't even imagine the days where visitor registration was done manually. This takes it to a whole new level. Everyone who comes to our facility loves it and comments on how neat it is. The ability to look at reports is taken to a whole new level. There is no more mis-read handwriting or confusion. The ability to be able to utilize assistants is wonderful. No more random people popping in "saying" they have an appointment with the CEO. * We monitor all Envoy reviews to prevent fraudulent reviews and keep review quality high. We do not post reviews by company employees or direct competitors. Validated reviews require the user to submit a screenshot of the product containing their user ID, in order to verify a user is an actual user of the product. Hi there! Are you looking to implement a solution like Envoy?